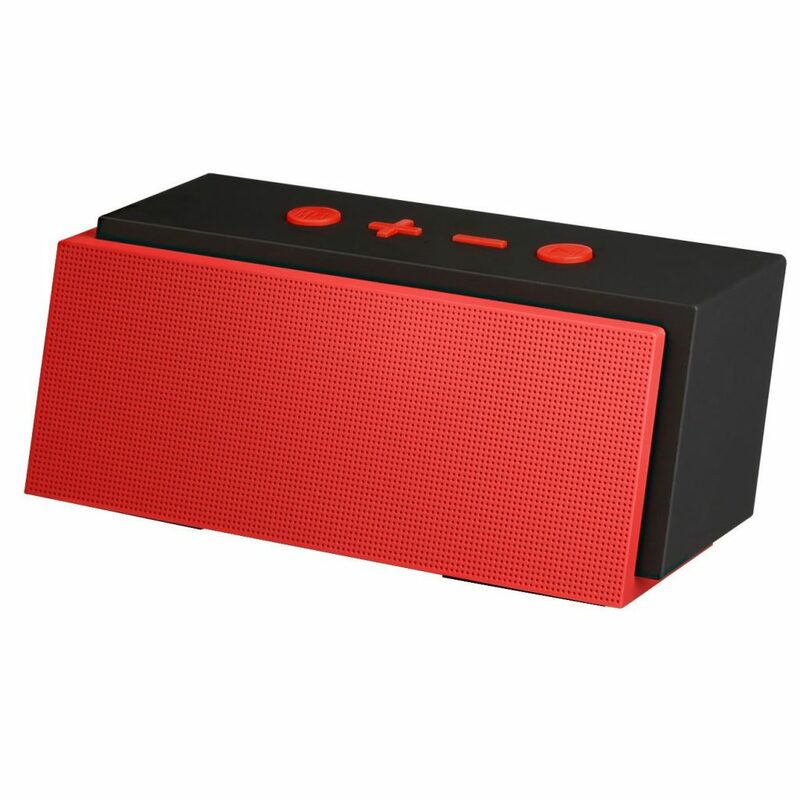 There are a lot of high quality wireless speakers online to choose from. 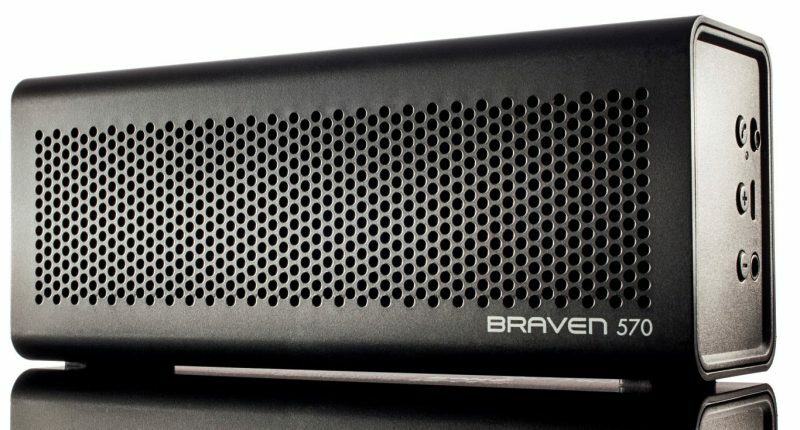 One of the best selling wireless speakers lately is the Braven 570. Available in six different colors, the Braven 570 can pair with all of your compact devices — and I mean ALL of them. Nowadays, humans in general rely on smartphones to listen to music, get the news and socialize amongst friends. 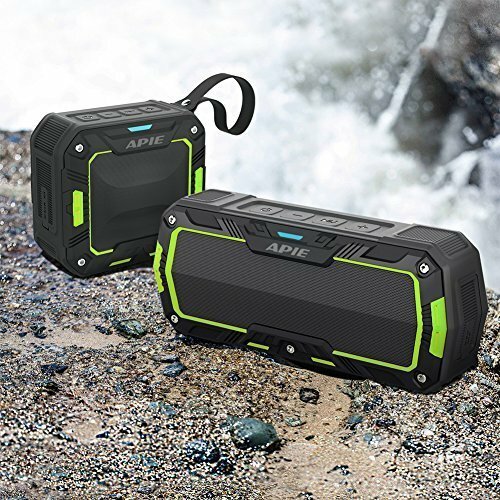 With the invention of the wireless speaker, you can start to put down the traditional headphones and start listening to top notch, high quality audio outdoors and practically anywhere you want. 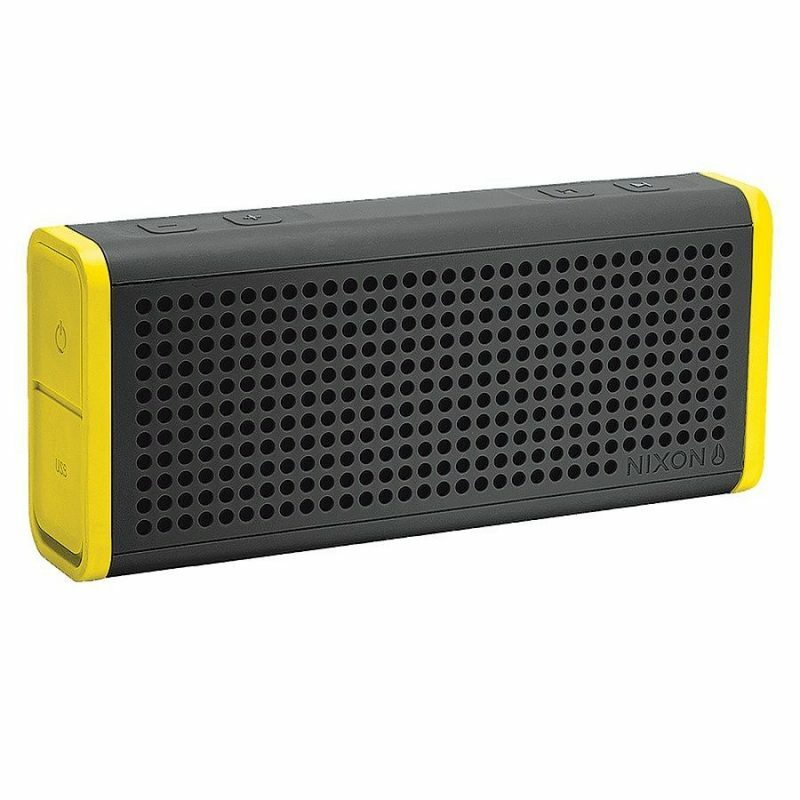 The Braven 570 is designed for travel, whether you’re going to the beach or hitting the road. On the side of the speaker is a 3.5 mm audio-out port. On the back of the speaker are the power button, micro-USB port for battery charging, 3.5 mm audio-in, and a multi-functional switch. The two volume buttons can also skip back or forward audio tracks. Other buttons allow you to pause or play the music, link the speaker with wireless devices, or go hands-free in answering phone calls. 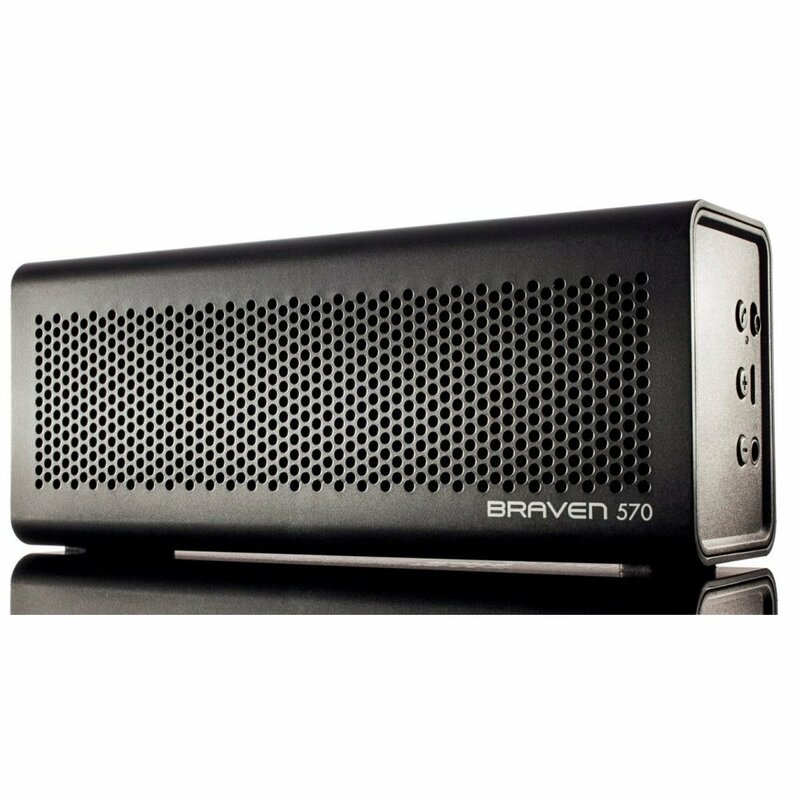 Pair Braven 570 with all of your compact devices. We recommend that you always keep your Braven 570 fully charged before you head out on the road. The Braven 570 has a rechargeable battery so that you can charge the device even you’re on the go. 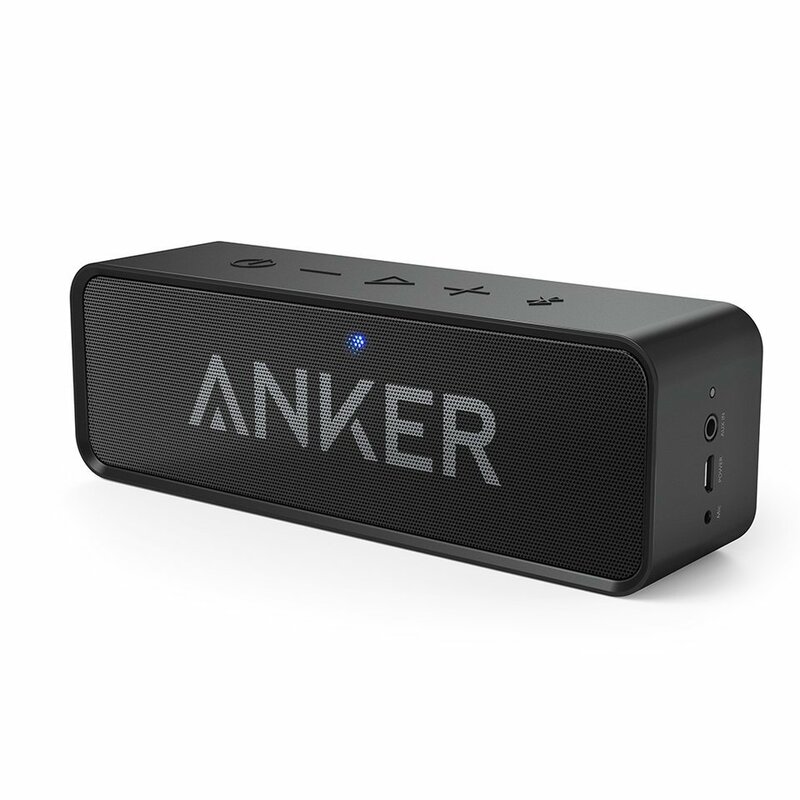 The speaker endorses up to 2 hours estimated time of charging. 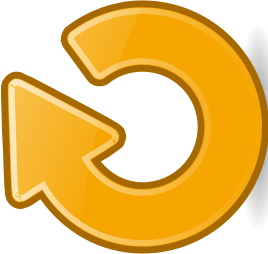 On playback, you will enjoy about 10 hours of music, videos, and playtime. Now, here’s another interesting feature of USB cable. 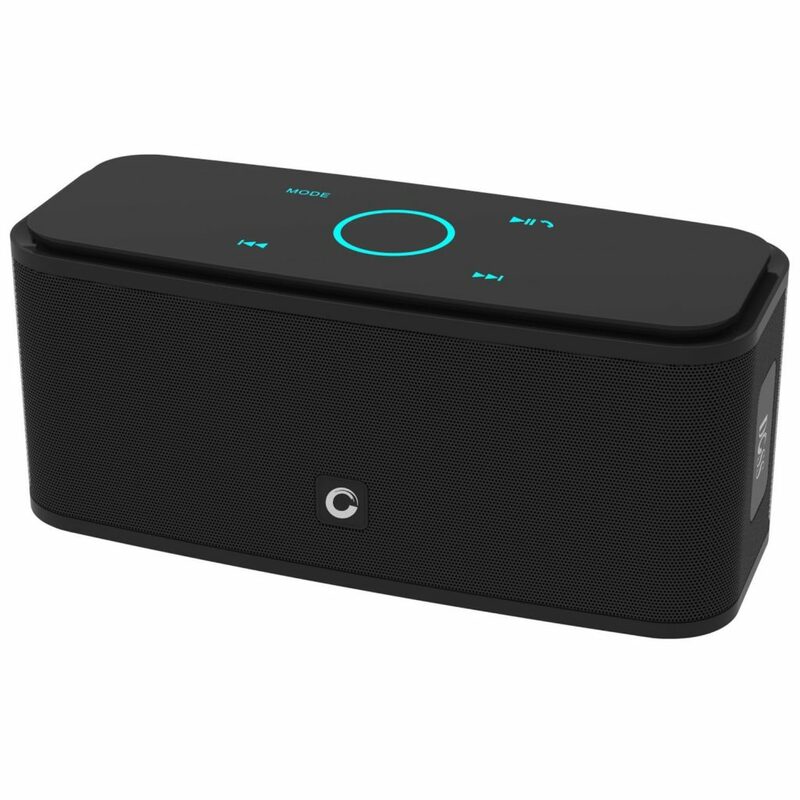 It can be used to charge the speaker and go wired in places where a Bluetooth connection is prohibited. 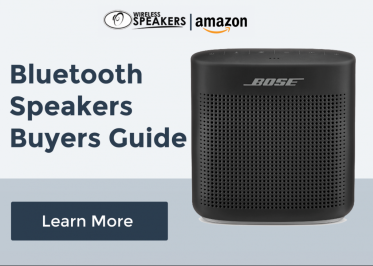 I can’t speak with certainty that all the brands of Bluetooth speakers are good, particularly the lower-end models. Nevertheless, I know that the Braven 570 Portable Bluetooth Speaker is one excellent product. One of the best speakers I’ve used so far. The speaker has a decent sound, and it connects effortlessly to any Bluetooth-enabled devices. Its battery life is 10 hours which is above average. In the past, there have been issues whether Acoustic Audio is a real company. Whether they produce their speakers, or they buy someone else’s work and call it as their own. With issues or without issues, they provide cheap but good products. By far, they give the best value for your money. They have a silicone sealed glass reinforcement resin enclosure, making them waterproof and weatherproof. 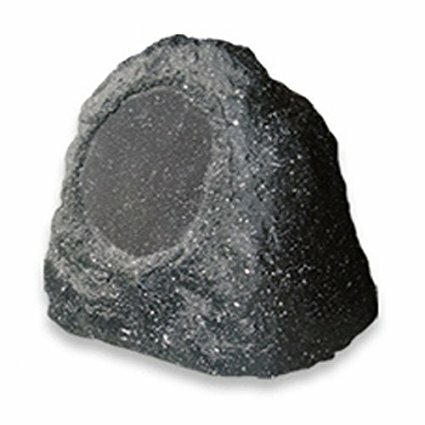 One of the products from Acoustic Audio that I’m sure you’ll love is their RS8GG Outdoor Garden Waterproof Granite Rock Patio Speaker. Sure, they don’t look like a real piece of rock and are not realistic enough. But we’re not concerned about how they look because they still bring a lot of power, and they sound good, actually better than many wireless speakers of the same price. 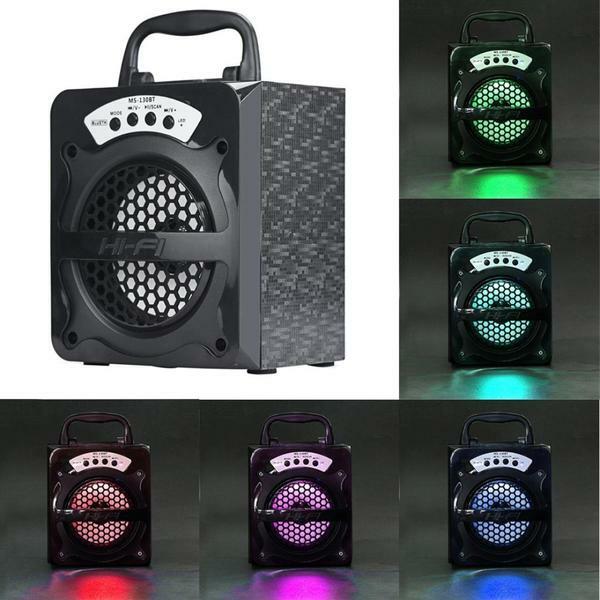 Each speaker handles up to 300 watts a piece and has 150 RMS of power handling. Each speaker has a 6.5” woofer, with a tight voice coil. The surrounding cover is made up of butyl rubber, making it durable. They have a silicone sealed glass reinforcement resin enclosure, making them waterproof and weatherproof. They can be exposed to salt, rain, snow, ice, and guess what, pool chemicals too. Expose them to all of these, and they would still survive. They handle both hot and cold environments, guaranteeing you that they will hold up against the elements. 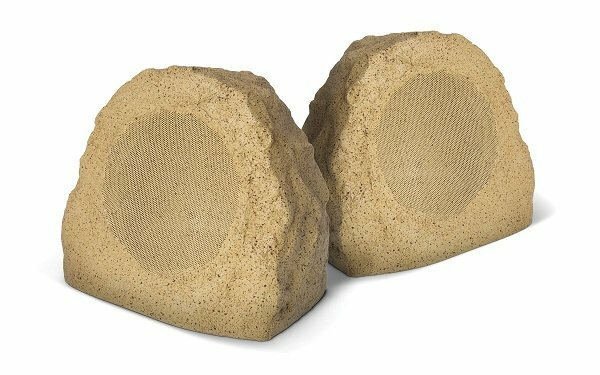 These speakers have a decent bass response, which is perfect for the outdoors. Their highs and mids are also crystal clear and do not distort when you turn the volume up. You can listen to music with them outdoors without worrying that they won’t sound good, especially if you turn up the volume. They actually perform better at higher levels of capacity. The sensitivity of these speakers is 1 Watt per meter, which gives a long range for a speaker. And the minimum required power for each speaker is only 10 watts. 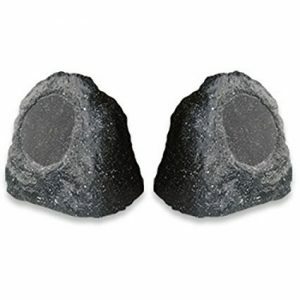 Overall, the RS8GG Outdoor Garden Waterproof Granite Rock Patio Speaker by Acoustic Audio are the ideal speakers for you if you’re looking for something that combines style with functionality. They’re ideal for outdoor use, and indoor use as well. 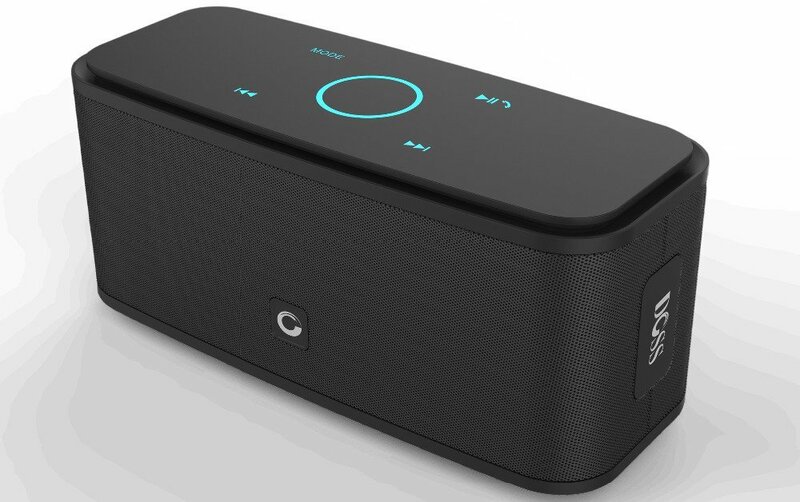 Grab one now, and enjoy cheap yet good wireless speakers. Dimension8" x 6.75" x 7.5"